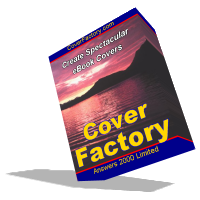 As you probably know, we offer software at CoverFactory.com for creating eBook cover graphics and box shots. 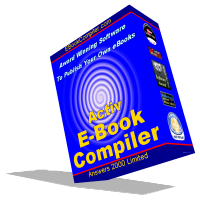 That is the 3D-style graphics that are often used to represent eBooks or downloadable software. Once created the graphics can be used within an eBook (for example on the intro page, or as the splash graphic shown when the eBook is starting), or on websites, advertising materials, etc. I’ve recently been experimenting with creating video demos of some of our software, so with new further ado, here are the videos. I won’t pretend they are highly polished studio products, but nevertheless I think that you may find them useful. for webmasters to gain free traffic by running their own top site or top sites. The idea of a top site is the operator creates one on a chosen theme, such as “Top 50 Aircraft Sites”, “Top 25 Rap Music Sites”, etc., and other webmasters join and list their sites within the top site. All participating webmasters gain traffic from the top site, but those who send the most traffic to the top site (as well as the top site operator) tend to gain the most free traffic. The Answers 2000 Top Sites allows top sites to be created on any theme at all, is fully customizable, includes anti-cheating mechanisms built-in, and includes a members’ area for participating webmasters, and password protected administration tools for the operator of the top site. Moreover it allows the operator to create multiple top sites on different themes, even a single website.